Inky Fool: Uncle Sam of the U.S. The suggestion that it arose as a facetious interpretation of the letters U.S. is as old as the first recorded instances, and later statements connecting it with different government officials of the name of Samuel appear to be unfounded. Which seems a terribly ungentlemanly attitude towards the tongues of women. Speaking of books being in print, did I mention that my book - The Etymologicon - is being published in three and a bit week's time? 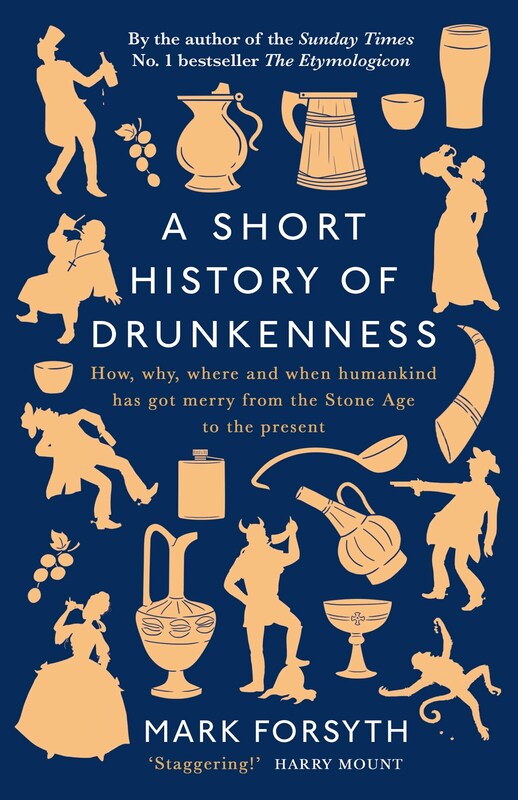 Did I mention that it's filled with all sorts of fascinating and entrancing etymological tales? Did I mention that you can pre-order it from this site with free shipping to anywhere in the world? 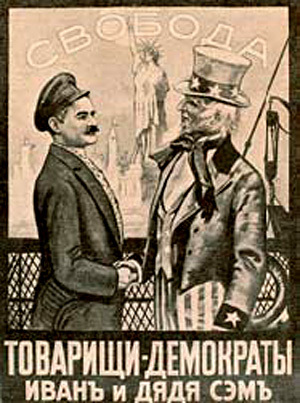 This says "Friends-Democrats, Uncle Sam and Ivan". It's from a Tsarist pro-American propaganda campaign that started in 1917, and was then cut short. Probably not a big deal, but "Товарищи" is traditionally translated as "Comrades." Gives the poster a bit of a different flavor.